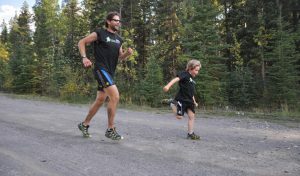 Everything started for me back in 2010 when Tony Smith introduced Blaine and I at the Canmore 10k that Smith Events (now Grizzly Events) put on in support of MitoCanada. 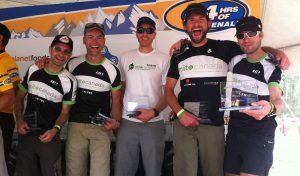 That was also the same race Myron, Blaine, Rich and I finished together. Definitely a fortuitous moment. After the race, Carrie and I had a great chat with Blaine about MitoCanada, the Running on Empty event and I met Evan for the first time. 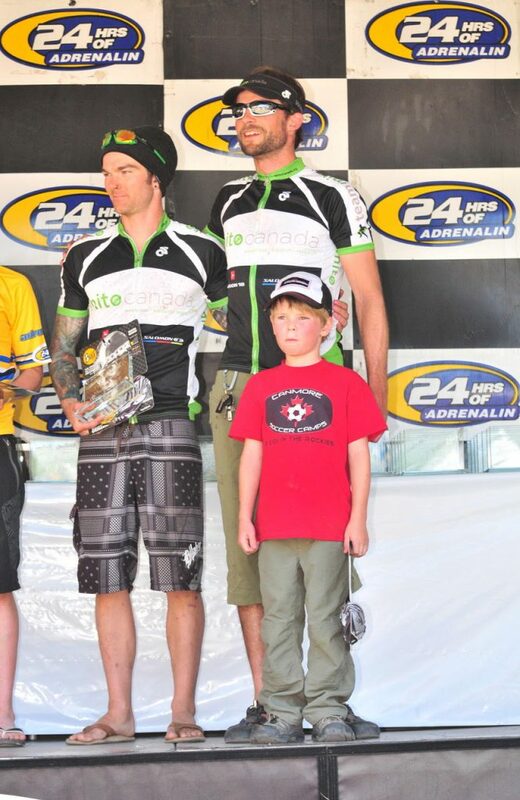 It was at that moment that I decided I needed to be involved with MitoCanada. I started with educating my Emergency Medicine Physician colleagues on mitochondrial disease, so we could be better at diagnosing it. 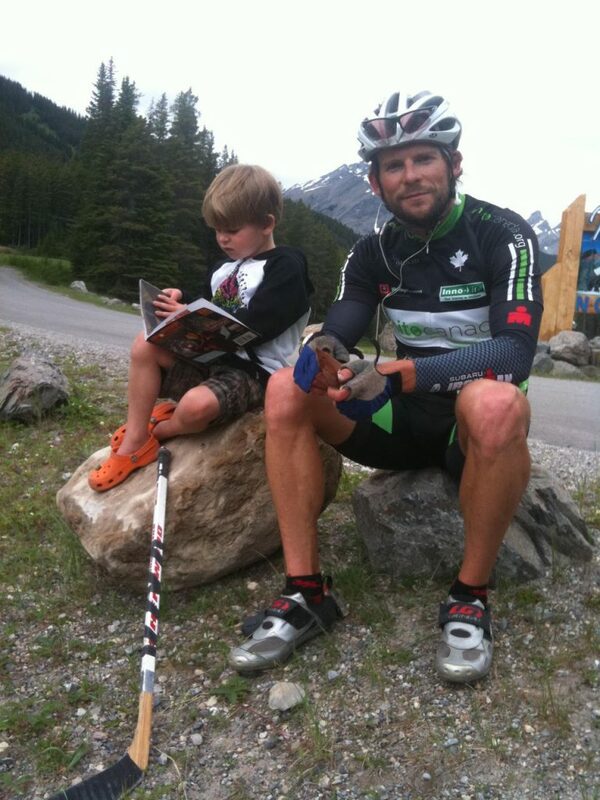 This led to a number of lectures at both Foothills Hospital and Alberta Children’s, in addition to Canmore. 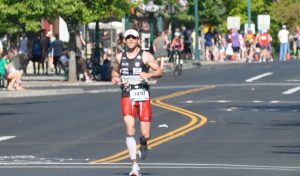 Feeling like I could do more, I decided to dedicate my training and upcoming Ironman races to raise awareness and funds for MitoCanada. 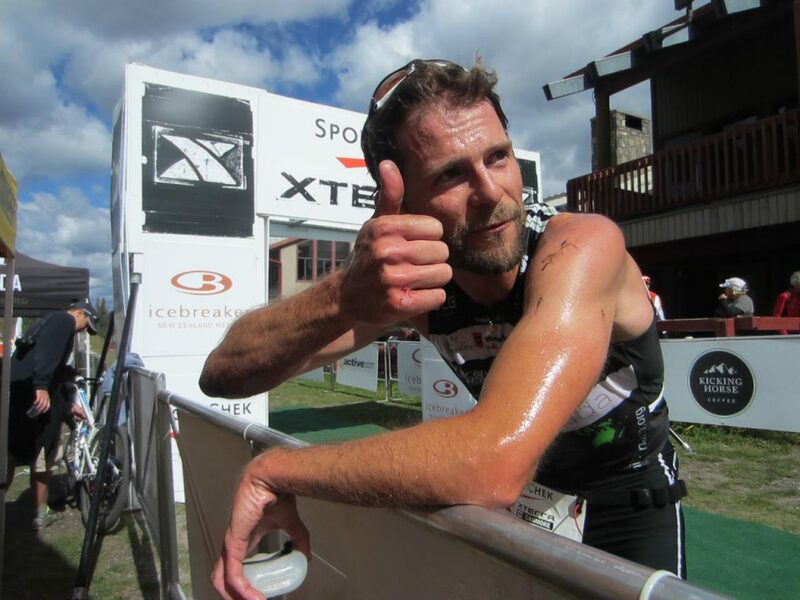 After talking with Blaine to determine the best approach, he suggested I blog about my training, race results and mitochondrial disease – all with the goal of raising awareness. 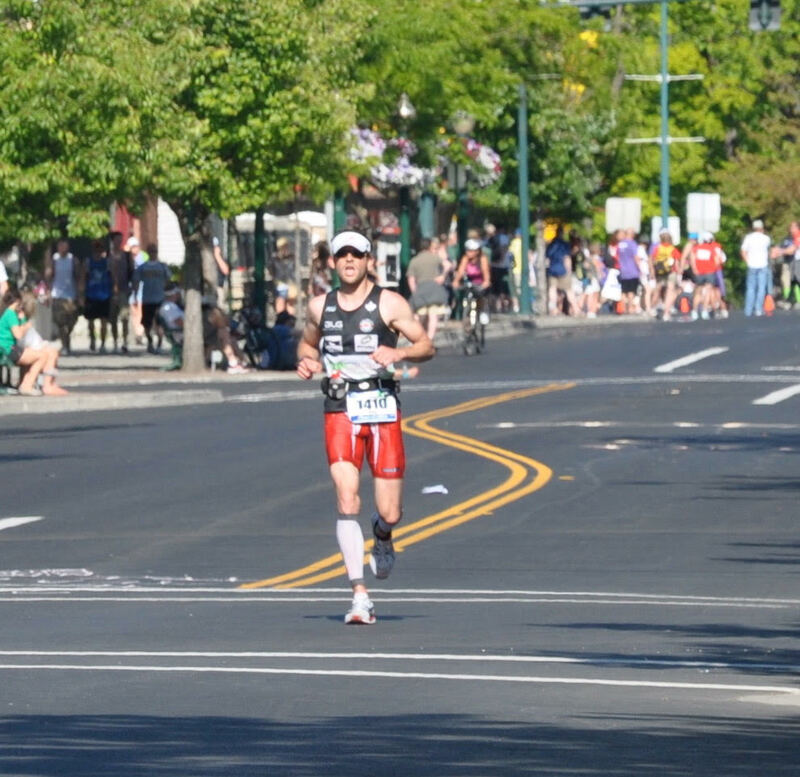 To spark the fundraising piece, I came up with the Ironman Double-Double, racing both Ironman Coeur D’Alene and Ironman Canada two months apart. 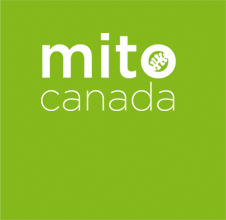 While awareness for the Double-Double increased, we started gaining traction on MitoCanada awareness. 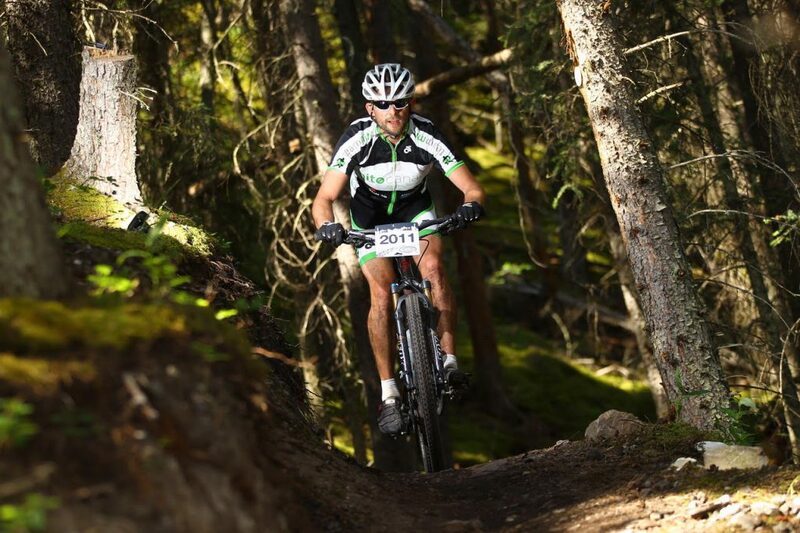 This led to sponsorships from companies like, Speed Theory (Calgary), Bicycle Cafe (Canmore), Honey Stinger and Tri-It. 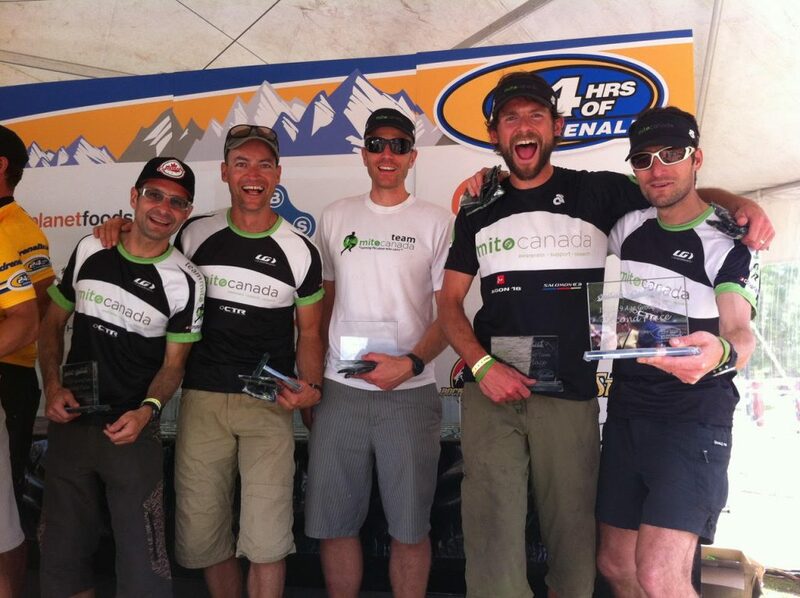 Richelle Love and Rose Serpico from Tri-It, Darcy Bell from Speed Theory, Jay Balabas from Cafe and Clay Gillies from Honey Stinger were huge supporters and eventually led to the creation of the MitoCanada Triathlon, Running and Cycling kit. Wearing the kit led to an increase in awareness for the charity and mitochondrial disease, as everyone who asked me about the kit would be educated on Evan and his disease. 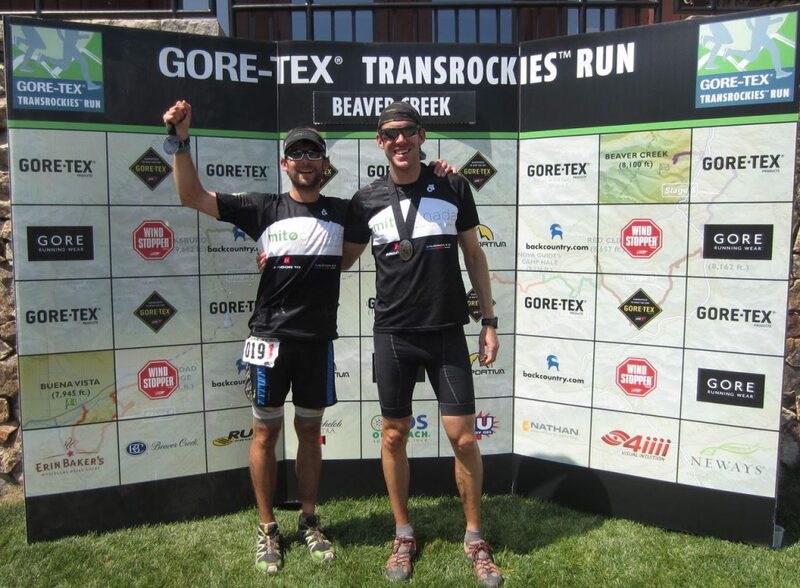 Tri-It sold the kit to many of our friends and family. 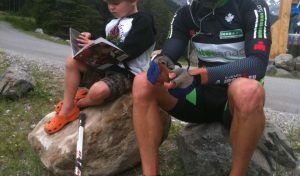 A pivotal point in the fundraising occurred when Blaine and I were strategizing at a local patio pub and we saw a complete stranger cycle by in a full MitoCanada kit. This provided the belief that we could grow this movement beyond our friends and family and likely bigger than we imagined. 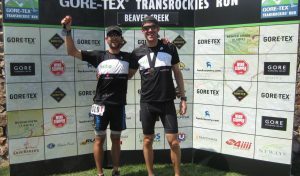 As my Double-Double training and racing continued in 2011, we had raised over $17,000 for research. 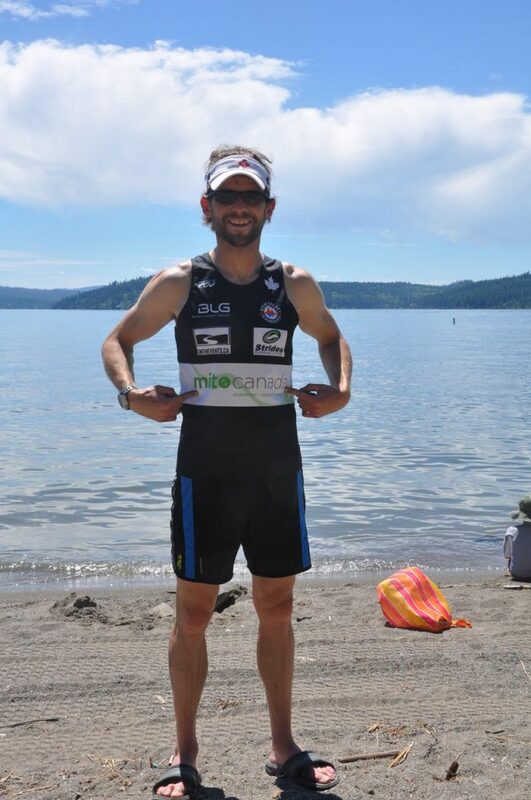 Perhaps more importantly, I had many people ask me where could they get a kit and how could they “join the team?” At this point, there was no official “TEAMmito,” just bunch of us who wore the gear to races, to raise awareness. 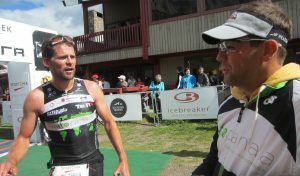 However, this soon changed while hanging out around Penticton the week before my 2nd half of the Ironman Double-Double, where I was asked over and over how to join the team of MitoCanada racers. 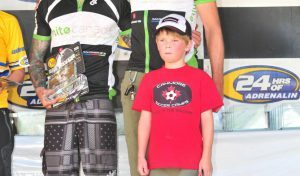 They all wanted to wear the Mito Gear for their races, to help people like Evan. 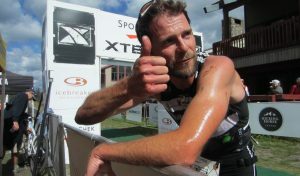 I remember talking to Blaine late the evening before Ironman Canada, saying that there was something special going on. 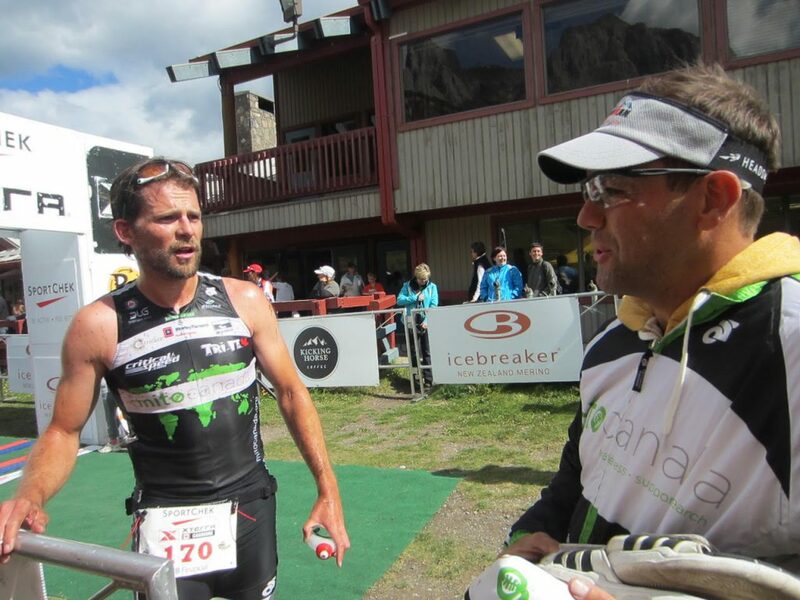 I told him I was convinced we could grow as a charity and use sport and competition as a major tool to raise awareness, funds and support for mitochondrial disease in Canada and beyond. 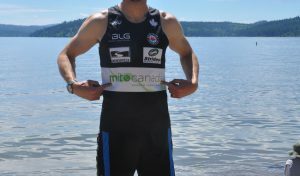 After racing in Penticton and hearing the “Go Mito” support from the sidelines and seeing MitoCanada supporter Linda Pilon on course with a MitoCanada poster, I was motivated to lead the TEAMmito charge. Over the next few weeks, we started strategizing by designing a new TEAMmito kit, creating cycling, triathlon and running teams, developing a social media presence, securing team sponsors for gear, etc. Next thing we knew, TEAMmito really took off! Over the next 2-3 years, I along with Blaine, Sarah, Carrie, Rich, Megan, Brendan, Myron, and many others helped lead TEAMmito. After dedicating hundreds of hours to raising the Team’s profile, the profile of the charity, awareness for mitochondrial disease grew to where it is today. As my boys activities and my commitment to their events increased, I was forced to step down as director for TEAMmito. Unfortunately, I could no longer commit the time that I wanted to and felt it was best to hand over the reigns to someone else. 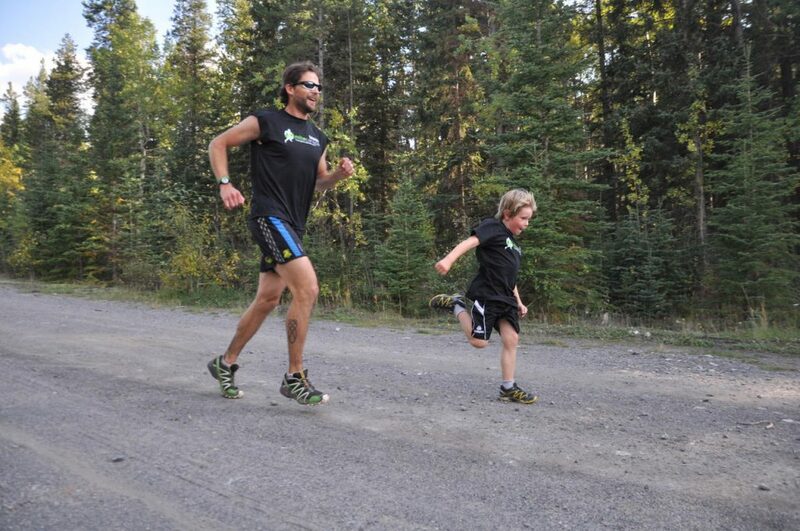 I had some amazing TEAMmito memories, like my first Running on Empty 100km run and having my son Finn finish the last 5k with me, watching both of my boys wear their TEAMmito running gear to their races, cheering on all the MitoCanada teammates at Ironman Canada in Penticton, especially pro-triathlete Dal Cain rocking the mito gear, riding with Simon Whitfield in my Mito gear and giving him a TEAMmito shirt, reaching the podium at 24 hours of Adrenaline as TEAMmito twice, racing at Trans Rockies as TEAMmito with my good friend Jan, running (and suffering through) Sinister 7 with the TEAMmito teammate Myron, running Rim to Rim to Rim in the Grand Canyon and the Rockwall with all of my TEAMmito friends, seeing the big smiles of all the new TEAMmito members as they came by my house to pick up their new gear and of course seeing Evan’s smile after an event. I greatly appreciate the opportunity I have had to support the charity and the families affected by mitochondrial disease. I feel that I was able to help create something truly special and I am proud to say it has evolved significantly from an idea over a couple beers on a patio in Canmore to what it is today. I am extremely proud of my contribution and truly grateful for all the relationships that have developed, from meeting all the wonderful people involved in this charity. Most of all, I am hopeful that my contribution will help improve the lives of people affected by mitochondrial disease, especially for my inspiration, the Penny family and specifically Evan.